You are the designer of your own personalised iPhone XS case. 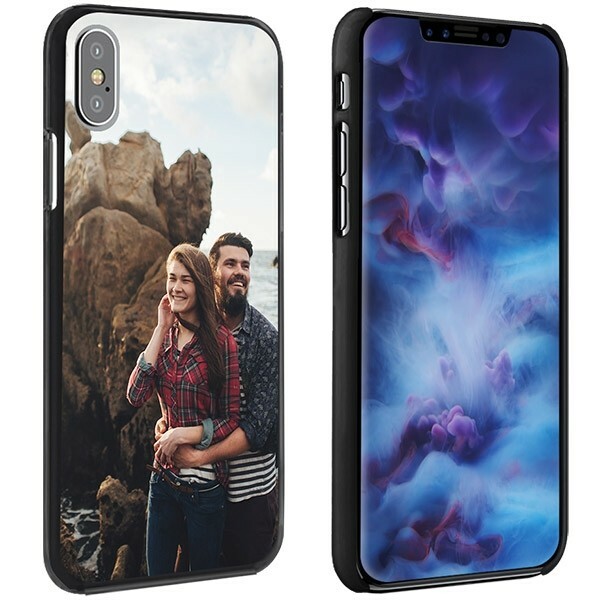 Today is the day to make your own iPhone XS case with great protection. 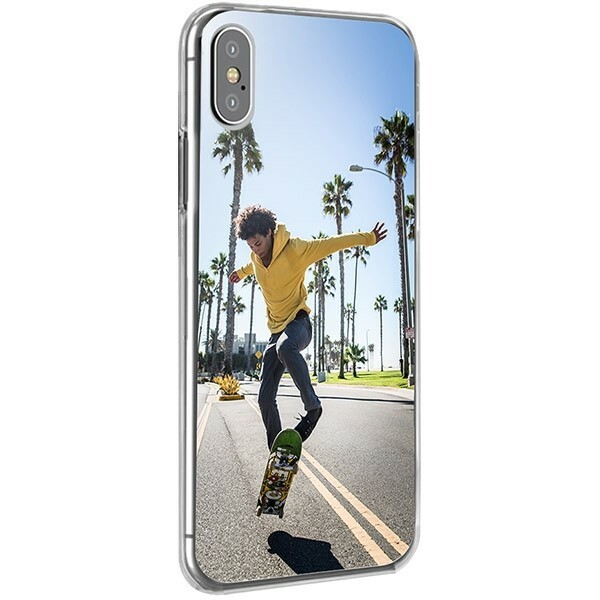 Design your own iPhone XS soft case today in five minutes. Is your phone your loyal, best buddy in all of your adventures? Is there no place you don’t go without your cherished device? If this is the case, you probably already know that it is a priority to protect your beloved phone. 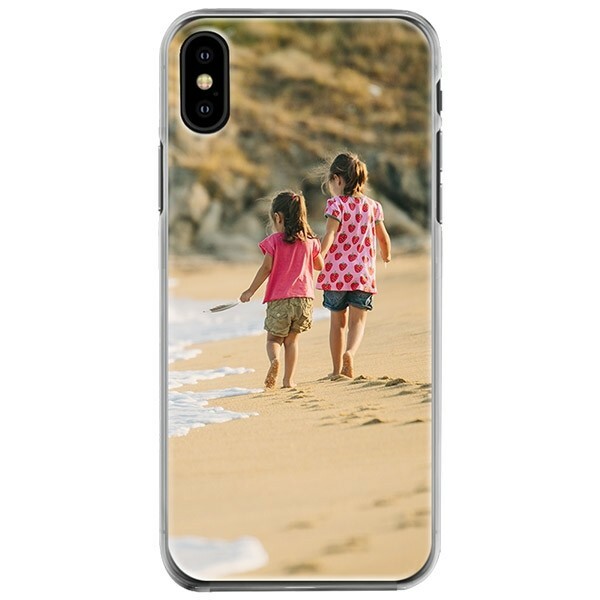 There is no better way to do this than with a personalised iPhone XS case! 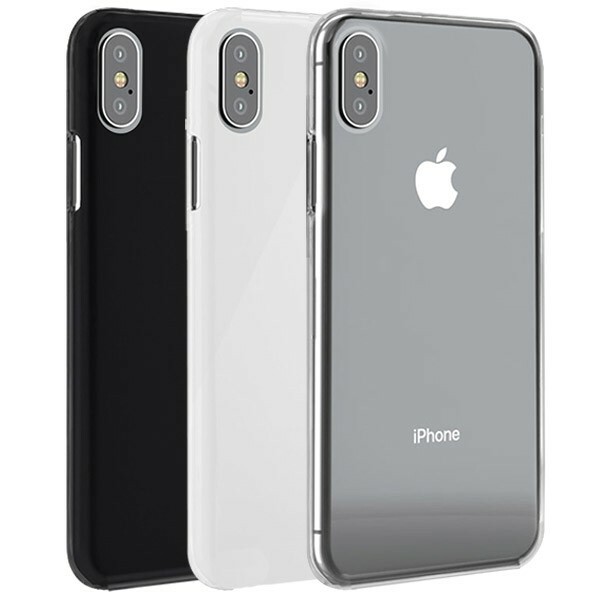 This case does not only look incredibly stylish, it will also protect your device it from drops, impacts and scratches. This will help keep your phone functional for as long as possible. Once you have designed your cover, it will be printed using our high-quality UV printers and scratch-resistant ink. Don’t wait any longer! Start designing now! Are you looking for a one-of-a-kind case for your phone? Then you have come to the right place! 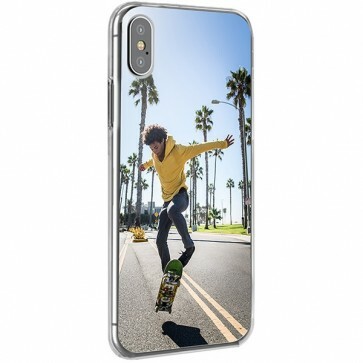 With GoCustomized you can make personalised iPhone XS case in only a few clicks. Start by visiting our user-friendly customizer and uploading one or more pictures from your phone, computer or social media. Are you undecided about which picture to upload? Then take a look at our collection, in which we feature vintage, nature, art designs and more! Next, add some text, a sticker and even a filter to your masterpiece. Start right now! Once you have designed your unique cover, you can submit your order. Before you do this, please verify all of your order details. Numerous payment and shipping options will be available to you. Your order will be taken into charge by our production team almost immediately. Your custom case will be printed using our high-quality UV printers and scratch-resistant ink. It will be produced and shipped at lightening-speed, within the next 24 hours. What are you waiting for? Make your unique case today!